Here is a complete outline of this event from all 4 gospels! We will look at briefly the events as recorded by Matthew! As you know from the reading we are looking at this event in the life of Jesus Christ, as recorded by his friend and disciple, Matthew. Tonight we look at Jesus mocked, Jesus crucified, and the implications and challenges we are presented with. Matthew, throughout his Gospel, presents Jesus as King - and it is probably his main theme as he writes his gospel. In Chapter 27 alone, Matthew ascribes Jesus as king 7 times. He uses Old Testament imagery from passages such as Psalm 22, Psalm 69 and parts of Isaiah to build his story. 1 Corinthians 13:4 says ”Love is ... kind” How often have we read that verse but not stopped to think about it. Of course I’m kind, we would cry if questioned. But what does kind mean? God doesn’t ask us to do anything that He doesn’t equip us fully to do but do we have faith in Him to be there for us to help us through any awkward silences. Those of you who are retired – how fantastic is that – you have so many more free hours to serve God, So many free hours to invite people round for coffee. So many free hours to be friendly. So many free hours to be kind. Obviously generosity applies to time as well but being generous with your time does not mean you don’t have to be generous with your money and possessions. The last adjective in the dictionary definition of kind is considerate. I think the verse love others as you love yourself sums this up nicely. Basically it means treat others as you would like them to treat you . G'day and welcome to Partakers ThinkSpot on Monday, the 26th of March 2012. Play the audio and see how Jim and Joy are challenging you to live your faith out this week! 1 Corinthians 13:4 says” Love does not envy.” It is a hard to put into practice at all times. As a divorced woman, I find it hard sometimes not to envy those people who have someone with whom to share their lives. Someone to cuddle up next to on the sofa, someone to share how each day has been, and someone to care about me. Of course I have family and friends who love me dearly but they have busy lives and don’t have the time always to listen, when I need to talk. I don’t work at the moment so money isn’t in abundance, so occasionally I envy my sisters who are both very high earners and can buy what they want, when they want. Or I walk past a huge rambling house in the country and think, wouldn’t it be nice to live there. Romans 1:29 also has envy included in a list of types of depravity: This list too includes murder "They have become filled with every kind of wickedness, evil, greed and depravity. They are full of envy, murder, strife, deceit and malice." So evidently envy isn’t too be regarded as a minor sin. In Philippians 4:12, Paul says he has learnt the secret of being content at all times, whether in times of want or times of plenty. The secret I believe is in knowing God our father intimately, the more we know God the easier it is to trust Him that He knows what’s best for us. The next time you find yourself envying someone, try to think of something to thank God for, or just praise Him for who He is. G'day and welcome to Partakers ThinkSpot on Monday, the 19th of March 2012. Play the audio and see how Jim and Joy are challenging you to live your faith out this week! 2 Tim.3:7, "Ever learning, and never able to come to the knowledge of the truth." Approaching two young ladies and two young men who belonged to a certain religious cult (I knew this as I had met the two men previously. They were now resting from their door to door visitation at a local coffee house I go to regularly.. I had felt deep concern for them for some while and feeling compassion for them after prayer really felt pressed to ask them a particular question . This question along with its answer had been on my mind and heart all morning and I knew I was meant to use it in my work as an evangelist with someone who God would place in my path that day. This passage has been carefully structured by Luke around the idea of authority. It starts off with 2 episodes in which Jesus shows his authority by first driving out an evil spirit and then healing many people. It ends with 2 episodes in which Jesus heals a man of leprosy, a symbol of evil, and heals a paralysed man. In between these 2 pairs of episodes Jesus shows his authority by proving that he, a carpenter, can catch more fish than the fishermen can. This middle story is the most important because it shows the authority Jesus had most clearly. Question 1: Twice in these episodes, when the man with an evil demon calls him 'the Holy One of God' and when the demons call him 'the Son of God', Jesus was more accurately identified by demonic powers than by ordinary people. Why was that? What are our modern day equivalents? That is a hard question to answer. Perhaps the otherworldly powers were more sensitive to the power of Jesus than ordinary people were. Are we as sensitive to the things of the Lord as we should be? Question 2: Why does Luke tell us that Simon's mother-in-law went straight back to the housework. Luke tells us how complete and natural the healing was. Simon's mother-in-law was able to go back into the kitchen and work. In the ordinary way she would have needed time to recover from the fever. The healing by Jesus was very special. In the same way when he heals us of our problems, physical, mental or spiritual, he often heals us instantly. The story of Luke 5: 1 - 11 is clearly the most important part of this passage. Fishing with nets in the Sea of Galilee was done when the fish rose to feed on the surface at night. There could only possibly have been a shoal near the surface in the daylight if a new fresh water spring had opened up in the seabed. (This is an area of volcanic activity). Jesus knew something nobody else did. Question 3: What might Simon and John have said to each other when they thought Jesus could not hear when he, a carpenter, told them to go fishing in broad daylight! "Who does he think he is?" "Telling us where and when to fish indeed." "What does he know about it?" "He's only a carpenter." "Thinking because he is a prophet he knows where to fish. What rubbish!" And so on. A boat of those days has been dug up. It was 8m long and 2m wide. So it would have needed a crew of rowers and would have held a lot of fish before it began to sink! So this was a very big catch meaning enough money for many weeks for the families concerned. Question 4: What did Peter do which he must have done so that nobody else was able to share their good fortune (listen again to v 7)? Signalling instead of shouting would have stopped other fisherman realising what had happened and joining in the big catch. Question 5: What does this episode teach us about the relationship between money and spiritual commitment? Practical rewards do sometimes follow devotion of time and energy to spiritual matters as they did in this case. But they do not always do so. We must be prepared to sacrifice things for the sake of the Kingdom. Question 6: Peter wanted to distance himself from Jesus when he 'fell at Jesus' knees and said "Go away from me, Lord; I am a sinful man"' because he thought the unclean contaminated the clean and he was unclean. How did Jesus view this? What is the implication for us? Peter was following the teaching of the OT. Leviticus 10: 10 says, 'distinguish between the holy and the common, between the unclean and the clean'. These teachings were mainly about ceremonial cleanliness. Jesus ignored such things. He taught that the things that matter are love God and loving our neighbour. Ceremony is not important in the Kingdom of God. Question 7: Peter recognised the authority of Jesus over him as a result of the events on the lake. How do we know Jesus has authority over us? The disciples had seen a great miracle. But so do we when the Almighty God calls us to follow him and we respond. He then forgives our sins, promises us final salvation at the end of the ages and gives us his Holy Spirit to guide us until then. If we do not recognize his authority we are poor judges of what is good and great and what is of great advantage for us! Read Luke 5: 12 - 26. "Leprosy" in the Bible may not have been what we call leprosy these days but any of many skin diseases. Question 8: Jesus said "I am willing" and touched the man. What does that tell us about Jesus? Jesus entered fully into human life. He related easily to the outcast, leper man and touched him. That made him, Jesus, unclean under Jewish law but Jesus ignored that. He was interested in the realities of life not the details of religious practice. Question 9: The paralysed man's sins were forgiven not because of his faith but of 'their faith'. Do you think one person's faith can work to heal someone else today? If faith cannot work like that there is not much point in praying for anyone else - which we all do. It is lovely the way Jesus says 'I am willing' to heal someone and calls the guy on the stretcher 'friend' even although his friends have just made a mess of the roof of what was probably his, Jesus' , house. Talk about Him! Show Him! If you love someone it’s difficult not to talk about them – think about when you first fell in love with someone, their name would slip into conversation all the time. It’s not how much you know that makes it easy to tell others about God; it’s how well you know Him, because if you know Him you can’t fail to be in love with HIM. It’s our responsibility as Christians to tell others about God and what He has done for us, in sending His son to die as a sacrifice for our sins. Matt 28:19-20 says "Therefore go and make disciples of all nations, baptizing them in the name of the Father and of the Son and of the Holy Spirit, and teaching them to obey everything I have commanded you." It is Jesus talking. He is not giving this command to evangelists only but to all His disciples, including us. Acts 1: 8 states "But you will receive power when the Holy Spirit comes on you; and you will be my witnesses in Jerusalem, and in all Judea and Samaria, and to the ends of the earth." Note the word witness, that’s all evangelism is, witnessing about God’s love. Again it is Jesus talking to his disciples, so it applies to us as well. 2 Timothy 4: 5 instructs "But you, keep your head in all situations, endure hardship, do the work of an evangelist, discharge all the duties of your ministry." Please note the words do the work of an evangelist. It is very clear that we cannot opt out of this. I talk to people all the time about my faith because people ask me about it. They want to know what I believe about all sorts of things. If I don’t know where a particular: in the bible is, I have a very bad memory, I can tell you what the: is but not which book chapter and:, I simply tell them I’ll look it up and get back to them. Or if I’m unsure what I believe about something I am honest and tell them I haven’t thought about it or don’t know enough the subject to give them an answer. I have to tell you that I ask God to send people that ask me about my faith and God is very good at that! G'day and welcome to Partakers ThinkSpot on Monday, the 12th of March 2012. Play the audio and see how Jim and Joy are challenging you to live your faith out this week! We start off this study with a question. Question 1: Where was your hometown? What was, or is, memorable about it? Nazareth was the hometown of Jesus, where he grew up. It was a small village in the middle of the province of Galilee, mainly of Galileans but including some Jews from the far away province of Judea. The people of Galilee were often of mixed ancestry so there is likely to have been considerable antagonism between them and the purer blooded Judean Jews who regarded themselves as the only proper Jews. As a result Judean Jews of Nazareth, as the family of Jesus were, were most probably foreigners in their own community. The two slightly different peoples were probably not friendly to each other. That, not the best of places, was where Jesus spent most of his childhood days! 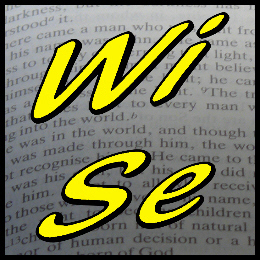 Luke uses the story of what happened when Jesus read from the OT book of Isaiah in the synagogue there, to start explaining how we are to understand the ministry of Jesus. Jesus had to deal with a strong expectation among ordinary people that the Messiah would behave in certain ways. He had a major job to change that expectation. Jesus read just one and a half verses from Isaiah 6. We will read more verses to get the context of what he read. We may assume his listeners knew the passage well so that hearing the verses he read they would immediately remember the following verses. Listen carefully to the picture these verses give. Isaiah 61: 1 - 7. Question 2: What would those verses have made them think Jesus was going to do if he really was the Messiah? What would they have been expecting him to call on them to do? Like many of the other passages in the Old Testament that talk about the Messiah these verses would have made them expect leadership in a successful military campaign against the Romans. Brothers, called the Maccabees, had led Israel against the Syrians 200 years earlier with great success. If he succeeded the men would expect to have to join his army. Of course, we know that such a venture would have been hopeless. The Roman armies were exceedingly difficult to beat. Only the most warlike of peoples in other parts of the Empire had any success against them, and then not for very long. Question 3: The next half verse in Isaiah to the one Jesus read says 'and the day of vengeance of our God'. He stopped without reading that out. What would that have suggested to the people who listened to him? I think they would have found it a great puzzle, which is why they listened to what he said next so carefully. He seemed to be promising that he would be a mighty spiritual leader but not a war leader. They would have thought of 'the day of vengeance' as the day when their God would bring the world they knew to an end with the defeat of the hated Romans. Question 4: Jesus went on to remind them of the stories of the widow of Zarephath and Elijah (1 Kings 17: 2 - 10a the brook Kerith was east of Jericho, Zarephath was the other side of Israel near Sidon, a Phoenician city)) and of Naaman and Elisha (2 Kings 5: 1, Aram was another name for Syria ). Why did Jesus do that? What point was he making, apart from the obvious one of 'not in my hometown'? All these places were outside Israel. He was saying that as they rejected him he was going to go to other people outside Israel. They did not like that idea at all. Quite why he did that is a bit of a mystery. Question 5: If a politician, wanting to influence people and starting off an election campaign was nearly lynched - murdered by a mob - as Jesus was he would not be likely to get on very well. The story does not give a good impression of Jesus. Why does Luke tell us about this episode when he could so easily not have done so? 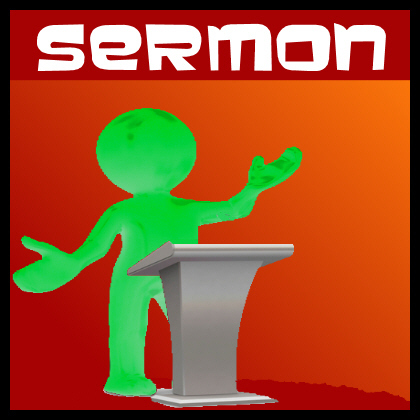 What is it about the ministry of Jesus that Luke wants us to think about? Luke is expecting what he writes to be read mainly by Gentiles - Romans. He has emphasised that the 2 great prophets Elijah and Elisha helped Gentiles. Christian faith is for all peoples, not any special nation or people group. Probably the fact that Jesus was rejected by the Jews like this made him sound better to a Roman, like Theophilus! 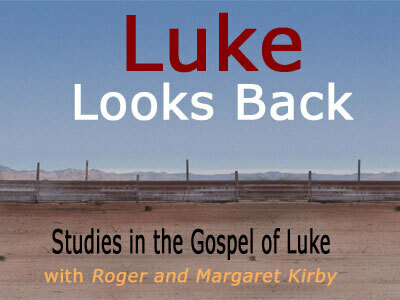 But, above and beyond that, Luke will have chosen this episode because it gives such a clear picture of what Jesus was going to do in his ministry. Question 6: It says, "Jesus walked right through the crowd and went on his way". What does that suggest? It tells us that Jesus had an unusual air of authority about him. Perhaps too, that angels protected him. Question 7: Looking now at the whole story - what 2 things is Jesus emphasising by what he says and does that are of fundamental importance in our understanding of God and of faith? He has appealed to the Scriptures of the Old Testament to establish who he is. And the Scripture he read emphasised the work of the Spirit both for preaching and healing. These are the 2 fundamental sources for our understanding too - the Scriptures and the Holy Spirit - though we have, of course, the tremendous advantage of having the writings of the New Testament as well as those of the Old. I wonder if you are like me and when you hear the word idolatry, you imagine somebody bowing before a statue and worshipping it. Such as the Israelites worshipping the golden calf, as recorded by Moses in Exodus 32, or people bowing down to the statue of the Buddha or one of the many Hindu gods. Therefore, idolatry is worshipping statues or worshipping in other religions. However, the Bible is very clear, that idolatry is a threat to living the Christian life. How can that be, you may very well ask! As a Christian, you are to love God and love others. Anything that replaces your love of God as your first priority, is an idol, and therefore, is idolatry. For idolatry is not merely worshipping statues. But idolatry is transference of allegiance to something apart from God. It is worshipping created things, and not worshipping God the Father through Jesus Christ the Son of God in the power of the Holy Spirit. And idolatry can be anything, for anything can take first place in your life! It may be your computer, your car, your books, your family, your church, a Christian leader, entertainment, celebrities and even love of yourself! These are all good things, in and of themselves, but they are not good things if they replace God from first priority in your life. These things can turn out to be idols, because they relegate your thinking of Almighty God to below first place. Paul writes to the Roman church in Romans 1v22-25. In that passage of scripture, Paul links idolatry with immorality. Immorality is the outer sins and idolatry is the inward sin. Idolatry is an attitude inside you that says to God “You are not first place, this other thing is”. Somebody who commits the sin of idolatry is a slave to that something else, and is not a slave to God through Jesus Christ in the power of the Holy Spirit. So idolatry is not just worshipping in another religion and bowing down to statues. Idolatry is relegating God to second place, in both actions and attitudes. Therefore cast off anything that is blocking your relationship with Almighty God. As idolatry is primarily the sin of the mind, those depraved ideas turn to sins of lusts and idolatrous physical pleasures. Be renewed in your thinking and have a renewed mind, so that you can worship Almighty God through Jesus Christ the Lord, in the power of the Holy Spirit. 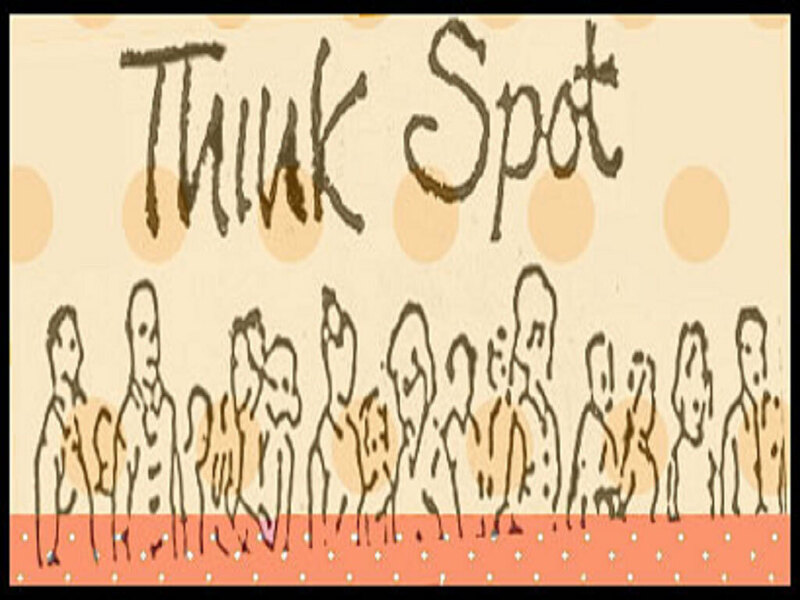 G'day and welcome to Partakers ThinkSpot on Monday, the 5th of March 2012. Play the audio and see how Jim and Joy are challenging you to live your faith out this week!